Mosquitoes can turn a really good holiday, or even a whole summer, into a nightmare. There is nothing more annoying than the itchiness and inflammation a mosquito bite causes let alone the constant buzzing around your ears while trying to sleep. 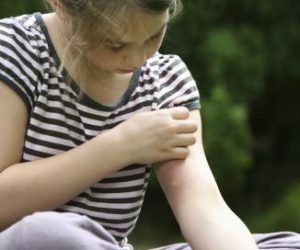 But there is more to mosquito bites than just a ‘temporary’ discomfort. The World Health Organization (WHO), which is responsible for providing leadership on global health matters, every year, on the 7th of April, celebrates the World Health Day; a day used to draw attention to a subject of major importance to global health. This year the theme of the day is ‘Vector-borne disease’ with the slogan ‘Small bite, big threat’. Vector-borne diseases are diseases transmitted through vectors, in other words through mosquitoes, flies, ticks and bugs. Malaria- the most deadly vector-borne disease in the world, dengue, leishmaniasis, yellow fever, Lyme disease can be transmitted from a mosquito bite. You are probably thinking that you have nothing to worry about since this only happens in third world countries but the WHO, however, warns you otherwise. Since I live in Greece, a country with plenty of sunshine and really warm and dry summers I know first hand how annoying these buggers can be. I also know the threat one of their bites can carry, so every summer I try to do my best to remain mosquito-bite free. Over the counter mosquito-repellent sprays was what I was using for years. Some of them had such a strong smell that I was sneezing continuously for 2-3 minutes after each application. Then, two years ago, I became a fanatic ‘balcony gardener’, growing in my balcony all sorts of vegetables and a friend brought me as a gift a herb, called lemon balm. The quest for natural mosquito-repellents was about to start. 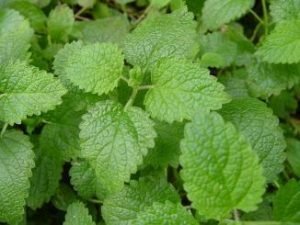 I did a bit of research about this new-to-me herb and found out that it was one of the best mosquito repellent plants. I used it and it worked. plant it in your garden. It is a natural repellent and its smell will guard you from the nasty buggers. for extra outdoor protection, take a few leaves, wash them and then gently rub them on you (you can crush them before rubbing if you like); ankles, arms, legs, behind your ears. Repeat every couple of hours or when necessary. It is a yellow-brown oil deriving from the seeds of the neem tree. Its strong odour is a mixture of peanut with garlic and its use as an insect repellent goes all the way back to ancient India. However, if it is used undiluted it can be a strong irritant. Studies revealed that the best way to use it is by diluting to a carrier oil, like coconut oil. Mix 2 ml of neem oil to 100 ml of coconut oil and apply a small amount into exposed skin. You will be protected and smell deliciously. NOTE: Neem oil and other neem products, such as neem leaves and neem tea, should not be consumed by pregnant women, women trying to conceive, or children. Lavender has a smell that everyone loves, except mosquitoes. You can plant it to get a wonderfully scented and mosquito-free garden/balcony. You can put lavender essential oil into ribbons all around your house and open windows to prevent mosquitoes from entering. You can also decorate your child’s pram and bed with lavender smelling ribbons, while never forgeting to cover their prams and beds with a mosquito net. You can make a scented oil mixture to apply to your exposed skin. Just mix 20-30 drops of lavender essential oil with two tablespoons of olive oil and gently rub a small amount into your skin. It will make your skin extra soft, smelling beautifully and guarded from mosquitoes. Remember to reapply whenever necessary. We are all aware of the citronella candles that gradually appear as we make our way through to summer. Those candles use citronella oil (not all, some just use artificial scents) which is derived from lemongrass. You can make a natural spray using citronella essential oil to keep mosquitoes away which you can carry in your bag while out and about, so that you can reapply when necessary. Shake bottle well and spray evenly in exposed skin areas avoiding the eye area. Apply approximately every 60-90 minutes. NOTE: you can also add drops of eucalyptus essential oil but you need to remember that the total number of drops of the essential oils should be no more than 40. If you suffer from a skin condition, like acne, eczema, you should consult your doctor before using any of the above as they might irritate your skin further. It is best to do a small patch test first to check for any unknown allergic reaction to any of the natural ingredients mentioned. If you are travelling abroad, contact your doctor for possible vaccinations you may need, as well as extra anti-bite protection measures. Infants and children are very delicate groups therefore, you should always consult your doctor before using any of the above on them.